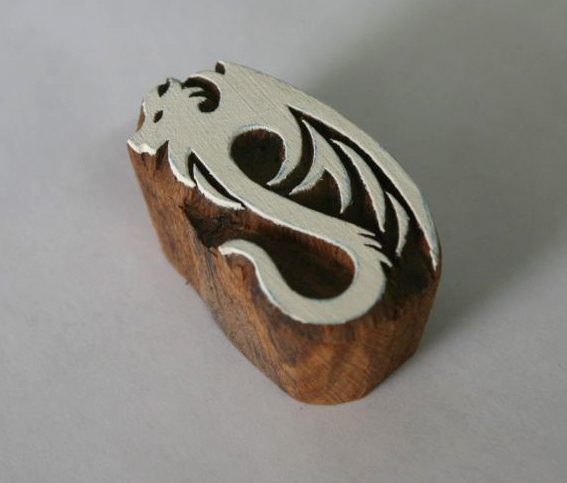 Use this stylish dragon wood block stamp to print on paper, fabric and more. Great for scrap-booking & your various art & craft projects. Please note each item is handmade so small variations can occur. Please view this item carefully to ensure you are happy with the hand crafted workmanship. Size: 35 x 65 mm approx.